Selecting the right frame and prescription lenses for your lifestyle and visual needs takes time and is a significant financial investment. Just like it is hard to see out of a dirty windshield, dirty lenses compromise the clarity of your vision. Taking proper care to clean your prescription eyeglasses or sunglasses to avoid scratching and otherwise compromising any coatings on your lenses will keep you seeing your best. DO use a microfiber cloth to wipe away smudges. Columbia Eye Clinic will provide a microfiber cleaning cloth and sample bottle of lens cleaner, safe for any lens and coating including anti-reflective, with your new glasses. We are also happy to provide free refills of the sample size lens cleaner to our patients. Microfiber cloths are also available at most drug stores and photography supply shops. 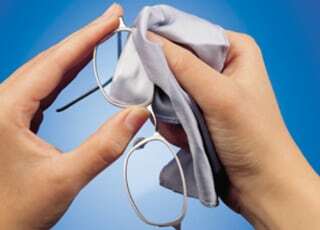 Microfiber cloths are lint-free, trap debris and dust and cut body oils to avoid smearing your lenses. Microfiber cloths should be hand-washed frequently with a lotion-free dish soap (like Dawn original) and allowed to air dry. DON’T use your shirttail or other clothing to wipe your lenses. Abrasive fabrics can scratch your lenses. DON’T use household cleaners on your lenses. Many glass and other surface cleaners contain ammonia and can damage your lenses and protective or anti-glare coatings. DON’T use tissues, napkins, paper towels or toilet paper on your lenses. They can scratch your lenses and leave behind lint. Your lenses and frames should be washed frequently. It is important to rinse your lenses first in warm water to wash away debris that can cause scratches. Using hot water can damage protective coatings on your lenses. After the initial rinse, apply a drop or two of lotion-free dish soap directly to your lenses or fingertips and gently rub both sides of your lenses, nose pads and all parts of your frames, paying close attention to where the lens meets the frame and dirt and grime can build up. Rinse your lenses thoroughly and dry with a clean lint-free towel that has not been laundered with fabric softener or dryer sheets (that can smear your lenses) or a microfiber cloth. With school back in session, parents may think they have crossed everything off on their long list of school to-dos, but our ophthalmologists also want to remind moms and dads not to neglect one of the most important learning tools: their children’s eyes. 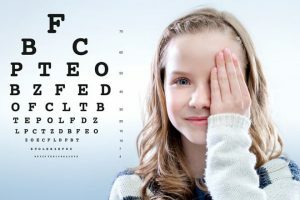 For school-age children, a vision screening, which is less comprehensive than a dilated eye examination by an ophthalmologist, can be performed by a pediatrician, family physician, nurse or trained technician during regular checkups. 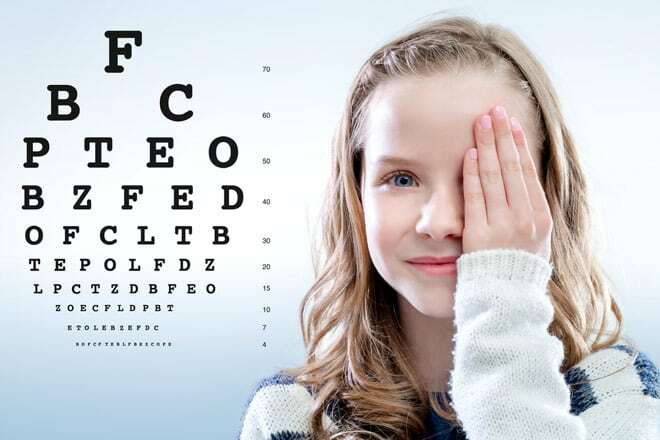 If the screening detects a problem, the child may need to see an ophthalmologist — an eye physician and surgeon. 2. Know and share your family eye health history – Everyone should find out whether eye conditions or diseases run in their family. Parents should share that information with the person performing the screening when possible. Examples of common eye conditions include refractive errors (nearsightedness, farsightedness, astigmatism) crossed eye, known as strabismus, and lazy eye, known as amblyopia. If crossed eye and lazy eye are not treated in childhood, they can sometimes cause permanent vision loss in one or both eyes. 4. Wear protective eyewear when playing sports – Eye injuries while playing sports can cause serious damage, whether by getting smacked with an elbow during basketball or hit with a hockey stick. If your child plays racket sports, hockey, baseball or basketball, consider having them wear goggles or other certified protective eyewear. 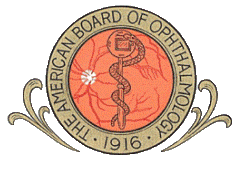 Visit the American Academy of Ophthalmology’s website to learn more about common childhood eye conditions. What are the benefits of polarized sunglasses over traditional tinted lenses? 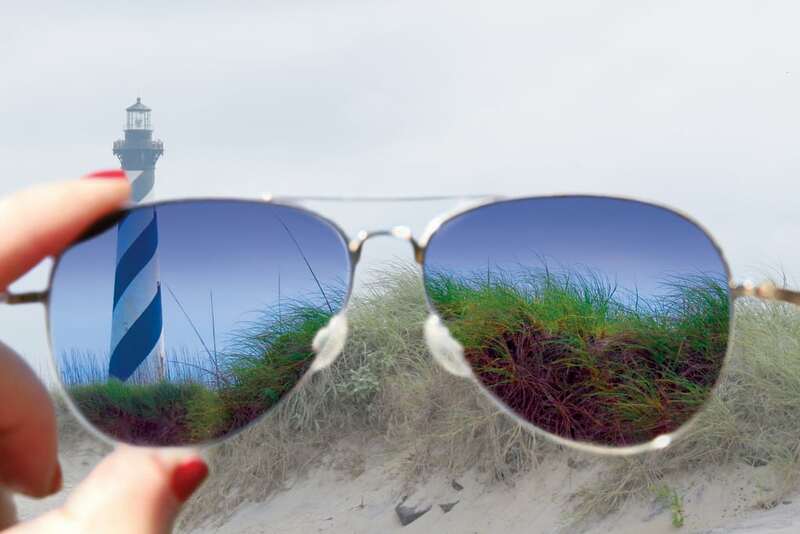 Polarized lenses improve vision by making colors appear deeper and bolder and eliminating uncomfortable and often dangerous glare, as well as filtering harmful ultraviolet light. Darkly tinted sunglasses without UV protection can potentially do more harm than good, as the darkness of the lens can cause the pupil to dilate, allowing damaging ultraviolet rays into the inner parts of the eye. Tinted sunglasses may reduce brightness and improve wearer comfort, but they do not remove glare like a polarized lens. Polarized lenses can play an important safety role for drivers, particularly in morning and late afternoon sun. The dangerous, vision obscuring light reflected off bright, flat surfaces such as water, wet roads, sand, snow, car hoods, and windshields can be virtually eliminated by wearing polarized lenses. For fishing and other watersports, polarized lenses eliminate the burden of eye strain and squinting that are magnified on the water. They also give anglers the edge for sight fishing and for safety by allowing you to see objects below the surface of the water. Polarized sunglasses won’t improve your golf swing, but from the fairway to the tee box, polarized sunglasses will help your game by reducing glare from water hazards and by helping you spot your ball more easily. When wearing polarized lenses, you may notice patterns in certain materials that are not visible otherwise. This can most often be seen in the tempered safety glass of car windows as a cross hatch pattern. This has no effect on the sharpness of vision, but often surprises first-time wearers of polarized sunwear. Another consideration when selecting prescription sunwear, is adding an anti-reflective treatment to the back surface of the lens. This helps to reduce the amount of light that can be reflected off the lens surface and into the eye. Reducing these reflections results in the wearer experiencing an even greater level of visual clarity than they would with polarization alone. Anti-reflective treatments, when added to the front side of polarized lenses, can sometimes be used to create an attractive mirrored look, as well! Ask an associate in our optical department about how you can have it made in the shade this summer with a FREE polarized lens upgrade. Purchase two complete pairs of glasses, including frames and lenses, and get free polarization to make the 2nd pair sunglasses. Offer valued at $110 and valid through September 30, 2016. Light waves coming directly from the sun vibrate in all directions and are considered non-polarized. When vibration is restricted to a single direction or plane, the light is considered to be polarized. The concept behind polarized lenses is perhaps best illustrated by thinking of the lens as containing a microscopic Venetian blind. The slats in a Venetian blind block the transmission of light from certain angles while allowing it from other angles. Polarized lenses have a special layer that creates the effect of horizontally aligned “blinds” to absorb the reflected light that impairs vision. Diabetes is the leading cause of vision loss among adults age 20 – 64 in the United States, yet 90% of diabetes-related vision loss is preventable. 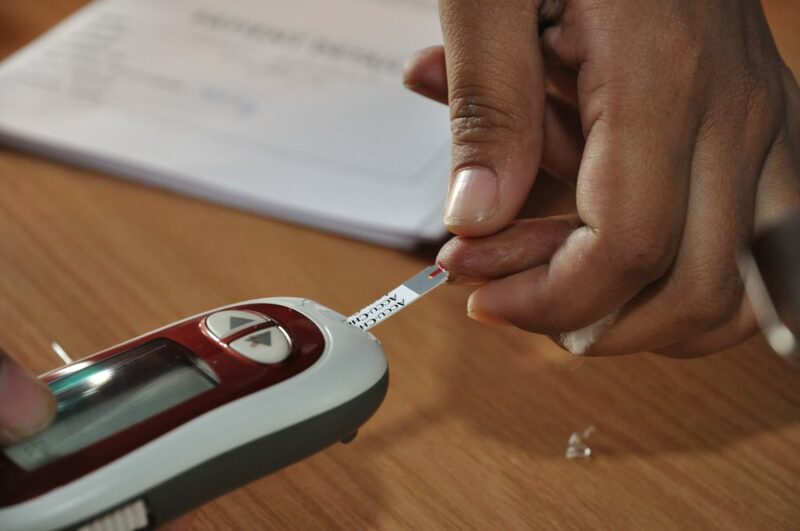 It is important for diabetics to have information about diabetic eye disease and for them to have an annual dilated eye exam by an Ophthalmologist. • Diabetic Retinopathy affects 28.5 percent of people age 40 and older living with diabetes. It occurs when the small blood vessels in the eye change by swelling, leaking fluid or closing off completely, blocking blood flow from reaching the retina. In its earliest stages, diabetic retinopathy does not have symptoms, but can lead to changes in the eye, such as macular edema, which is the most common cause of vision loss among people with diabetes. Treatment for diabetic retinopathy and many of its related changes include laser surgery, medical injections and vitrectomy surgery in which blood and scar tissue caused by abnormal blood vessels is removed. • A Cataract occurs when the eye’s lens becomes cloudy, causing vision to become blurry, cloudy or dim. While this happens in many people as they age, those with diabetes are more likely to develop cataracts than their peers without diabetes. Mild cataracts may be treated with eyeglasses, but once the cataract is advanced, it will require cataract surgery, in which the natural cloudy lens is removed and replaced with an artificial lens implant known as an intraocular lens or IOL. • Glaucoma is a disease that damages the optic nerve and peripheral vision. The damage to the optic nerve is usually caused by elevated pressure in the eye. People with diabetes are also more likely to develop glaucoma, which rarely has any noticeable symptoms in its early stages. Glaucoma can be treated with medication such as prescription eye drops or with surgery, but will result in blindness if left untreated. People with diabetes should get a dilated eye exam at the time of diagnosis and every year following. Click the links below for more information and tips on preventing diabetes-related vision loss. This is the time of year that we love to show our patriotism with fireworks, but fireworks aren’t toys. They can cause ocular injury and even blindness. You may think you are safe if you’re not the one igniting the fireworks, but nearly half of reported fireworks injuries occur in bystanders. 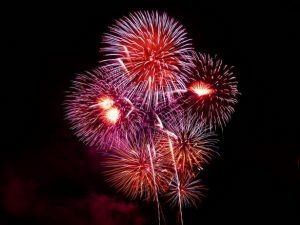 The best way to avoid potentially blinding injuries from bottle rockets, sparklers and other fireworks is to attend a professional public display instead of igniting consumer fireworks yourself. Never let children play with fireworks of any type, even sparklers, which can burn at up to 2,000 degrees Fahrenheit. Adults should always wear protective eyewear that meets parameters set by the American National Standards Institute (ANSI) if handling fireworks and ensure that all bystanders are also wearing eye protection. ANSI-approved protective eyewear can be easily purchased from most hardware stores. Do not take any blood-thinning pain medications such as aspirin or ibuprofen.